Water filters are amazing tools to ensure that a household is consuming only crystal-clear, healthy water. Nowadays, water filters also come in portable versions, which are perfect for trips where a lack of water might prove to be fatal. Since most of you rely on water filters in various scenarios, you must also know what happens if you don’t change your water filter and learn how to replace it. 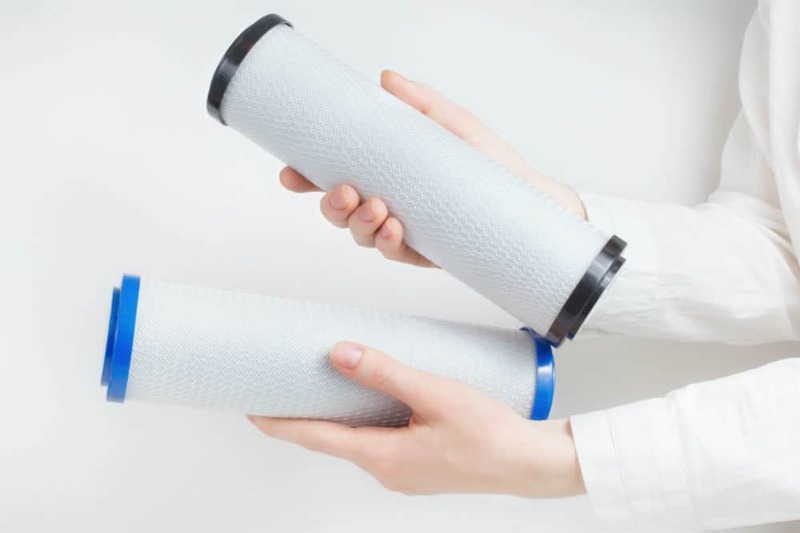 What is the Primary Role of Water Filters? Water, either from a tap, well or natural source is basically a living thing. Imagine what happens if someone drinks a sip of a living thing. All of the microorganisms or pathogens present will find a new home, which is your body. To put it more clearly, water pathogens, as they’re called, constitute of bacteria, parasites, and viruses that are present in water. Some of them are actually harmless, while others can do a number of harmful things to a person. These microorganisms can travel from host to host through water if the main water source doesn’t undergo treatment. E. coli and S. typhi are just two examples. In babies and weak adults, such as pregnant women and the elderly, these pathogens can cause infections with serious side effects such as kidney failure, blood in stool and severe nausea and dehydration. Depending on where the water source is located, a water filter can be a great help to combat the transmission of these microorganisms. What Happens If You Don’t Change Your Water Filter? Much like other kitchen appliances, there are various types of water filter systems and the most commonly known is the charcoal filter. It’s basically a very dense piece of charcoal which acts as a sponge for pathogens and other contaminants. As with other sponges, it has a threshold; a limit that must not be surpassed. Meaning, the filter in the filtration system can become very vile in time if it isn’t being taken care of properly. Failing to swap the water filter in time can result in multiple scenarios. The water might just pass unfiltered, which is basically drinking water straight from the tap. Nevertheless, tap water doesn’t contain many pathogens, at least in the First World countries. That being said, there are still some culprits present in tap water that can have a negative impact on one’s health. Also, if not replaced on time, minerals can build up into the system, which when consumed regularly and in high amounts can turn into kidney stones. As most of us know, kidney stones are not life-threatening, but they’re a pain to get rid of. They can be passed through naturally, which is incredibly painful, or they can be removed professionally using ultrasound technology, which is too costly. For other types of filters, the goop that’s been building up might start leaking out, turning the color, odor, and taste of water foul. Think of it this way: for the past few weeks or months, pathogens and impurities have been building up in the pipes and old filter; hence, all of those potentially dangerous contaminants are now leaking into the drinking water. To avoid this, it’s very important to swap filters as soon as the water starts to degrade. Another annoying effect of clogged filters is that the water pressure will decrease significantly in some models. Everyone can agree that bad pressure is very frustrating. Avoiding this is as simple as cleaning the filter and replacing parts. When Should You Replace a Filter? Honestly speaking, it’s hard to give a straight answer to this question since water filters come in different shapes and sizes. The good thing though is that most manufacturers will give their clients an idea as to when they should replace their old filter. However, if the information is not provided, usually, filters should be swapped when the taste, smell, and color of the water changes for the worse. Some of the filtration systems come with replacement filters, while some of them should be changed as a whole. Water pitchers, for instance, have easily swappable filters and can even be cleaned once or twice before a replacement filter is needed. What are Other Useful Water Filter Maintenance Tips? Although the filters themselves can be replaced, sometimes sediments can build up into the nooks and crannies of the device. Meaning, changing the old filter might not maintain the quality of the system, but, there are some very simple ways of getting rid of these impurities. What is better is that you can use basic household products. The first one is vinegar, the housewife classic. It is a great solvent for hard water sediments deposits and goop. For this trick, in a bowl of lukewarm water, mix in a few teaspoons of vinegar (preferably apple cider) until the whole mixture is just slightly pungent. Afterward, give the device a nice vinegar bath. After approximately 30 0r 60 minutes of soaking, use a fine, soft brush or cotton swab to get rid of any lingering impurities. Rinse afterward and you are done. The second one is mild detergent. This is recommended if the deposits are resilient and unresponsive to the vinegar mixture. Simply rinse the affected area and apply a thin coating of a detergent product of your choice. The detergent has to be mild; otherwise, it might have a corrosive effect on the filter material. Rinse and dry. We hope that at this point, you already know what happens if you don’t change your water filter system. Just do remember though that the answer will usually depend on your location and water supply and the type of water filter that you use. Like for instance, E.coli and other pathogens, although scary, can be very rarely found in bigger cities and more modern countries. However, mold can definitely be a problem when using water filter systems no matter where you live. That being said, there are still other health hazards so it is important to keep in mind that water filter maintenance and replacement should be done. Although the manufacturer’s recommendation is still the best, the information we have provided can be used in most situations.